AAMUC's primary activity is the publication of the quarterly newsletter titled FOOTLOCKER. Having approximately 16 pages, FOOTLOCKER contains A.A.M.U.C. news, book reports, military museum reviews, member-provided articles, and member-created ads (such as for sale, trade and wanted item lists). Each of the above sections is also not focused upon one particular period to the exclusion of others. 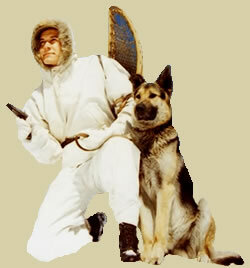 Rather, the FOOTLOCKER strives to report on a wide-range of militaria topics from all periods of U.S. military history. And to aid in the understand of a topic, the center two pages use color photos and illustrations. Want to know a few specific examples about what you can find? Not a problem. We are happy to comply! 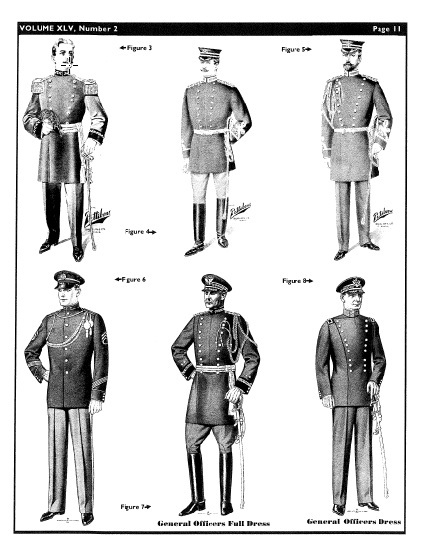 The FOOTLOCKER issues contain overview articles describing the evolution of a particular type of uniform, such as the Navy's slate grey uniform or the turn of the century Army dress blues. Additionally, one of the most popular and important FOOTLOCKER articles is an article from the series called "From My Collection." Each issue this series showcases the most interesting items found among member collections - nearly all (if not all) being the best-of-the best and one of a kind. Still not convinced about what FOOTLOCKER has to offer? Why not take a look at the samples provided below? They are free to download. So, have a look! NOTE: The sample FOOTLOCKERS below are provided in Adobe Acrobat (.pdf) format. Users must have Adobe Acrobat Reader installed in order to view. If you do not have Acrobat Reader, please click the below link for a free download of Acrobat Reader. Find an article you want to read? You can contact us about ordering past issues or visit our online store to order issues by volume. WANTED: Persons between the ages 0 and 150. No minimum requirement for years collecting. No requirement to be current or retired military. A.A.M.U.C. is looking for a few good persons that enjoy history and have a desire to further their learning and understanding of United States militaria (particularly uniforms). Hundreds have already answered the call. Think you have what it takes to be an A.A.M.U.C. member? Click the posters or the "Join Now!" or the "Read More" links to answer the call. OFFICERS: Not sure who to contact about your question? Click the below link for a list of our officers and their contact information. Copyright © 2008-2011 A.A.M.U.C. All Rights Reserved.